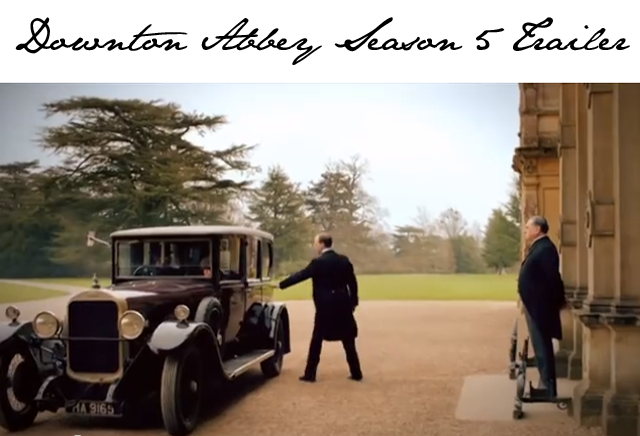 Downton Abbey Season 5 Trailer is here! Oh, I'm so hoping you are all Downton Abbey fans. If you have not gotten into this show yet, may I recommend that you immediately download all four previous seasons, call in sick to work for the next three days and binge watch until your eyes loose the ability to focus? In fact, I think I might do that as well. Downton Abbey has a cult-like following for a reason. The characters are addictive, the writing is witty and original, and the plot has twists and turns that will break your heart a million times over and then make you smile at the most unexpected moments. Oh, Downton, how I love thee. And don't even get me started on the fashion. Ralph Lauren based an entire collection on the show after becoming obsessed with the characters and the storyline. If that doesn't sell you, well, I just don't know what will. So it is with great pleasure today that I present a first look at the season 5 trailer for Downton Abbey. The series starts up again in the UK on Sunday, 21st of September at 9pm. Mark your calendars now.